Arghh I love this outfit! It's unbelievably comfortable and I can't resist an oversized sweater when it's chilly outside - I love that I can throw this on and look like I've made an effort when in fact I feel like I could be wearing PJs! I never normally wear leggings, but these were relatively cheap for Topshop and I think they look a lot more expensive than they were - I toyed with the idea of getting them for a while, but being matt wet-look they're not overly shiny or tacky, they fit really well and are surprisingly soft and easy to wear. You may not be able to see too clearly but I'm wearing these with my leopard print shoe boots (shown here) - I love them so much and always get people asking about them. I hope you all had a lovely Valentines Day and spent it with the ones you love :) I had the best day with my boyfriend and spent yesterday shopping with my best friend...so I have a few new things to show you! I love the leggings! I have been hunting for a while and bought some but realized i didn't like the fitting and i lost the receipt...bad times. I love over sized sweaters too, comfy! Great casual look, I love those leggings! 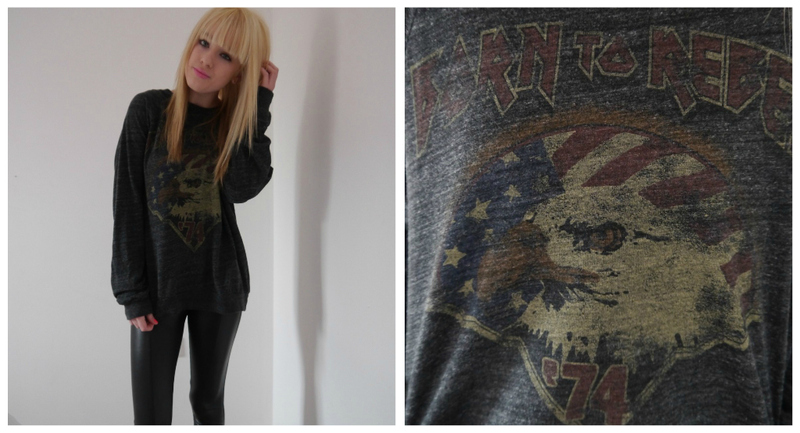 love that jumper been lusting after it for ages! thanks! i follow you on gfc and bloglovin! want to see keep nice style picture. You look great my dear, your hair looks amazing too! 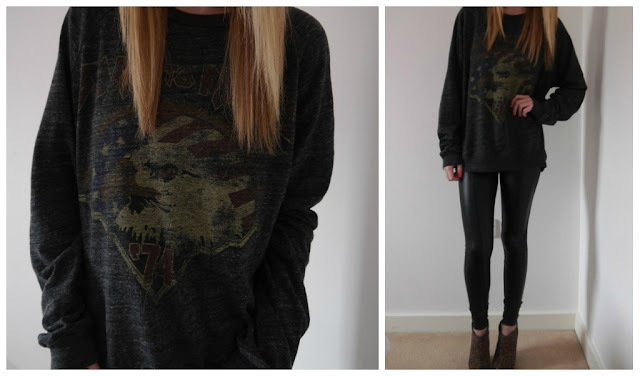 you suit those leggings so much; you can't beat a lovely oversized jumper! awh i love this lipstick on you Ellen, you look lovely! Love this look. Great fringe too, I'm considering getting one but am not sure if it'll really suit me. Your outfit is super cute. Love your blog.